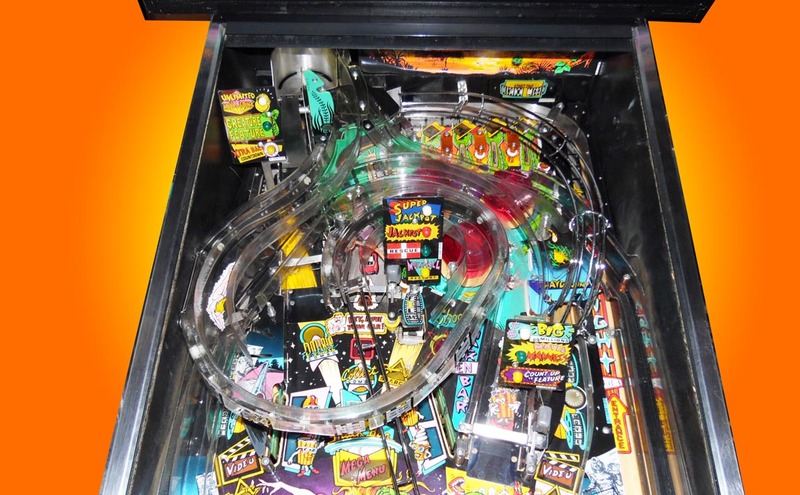 Williams 1992. 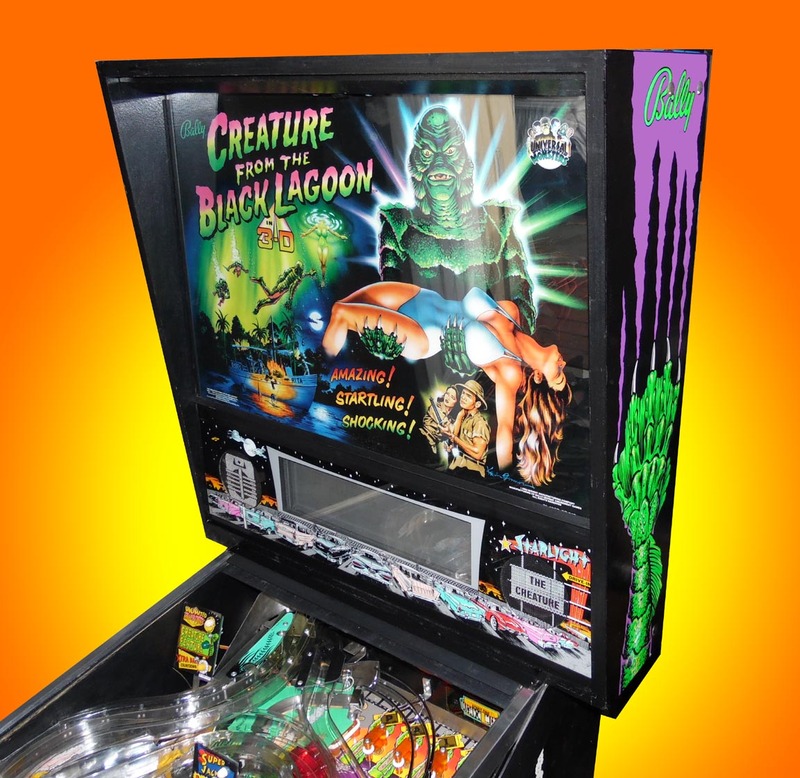 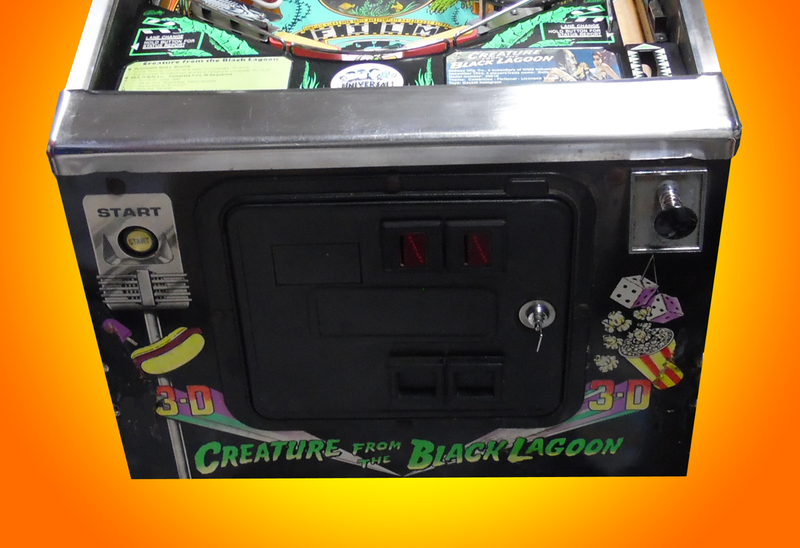 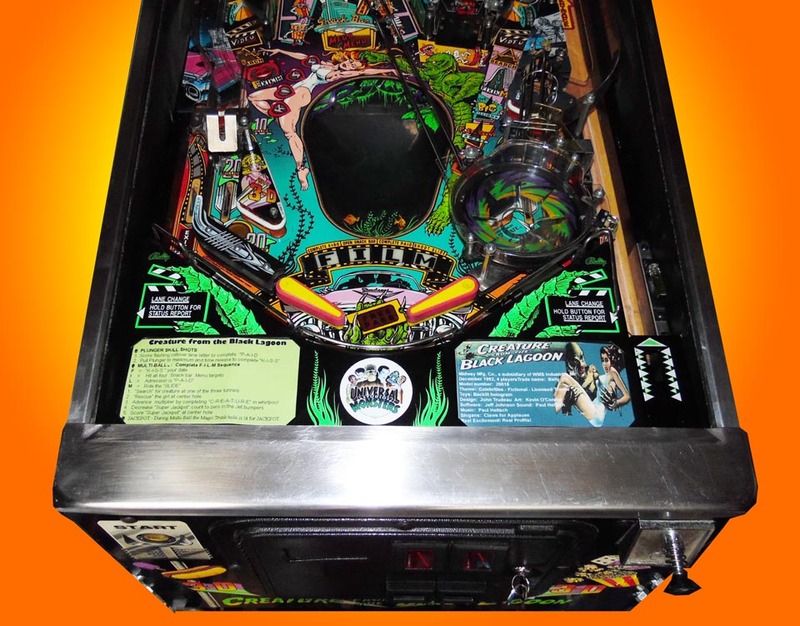 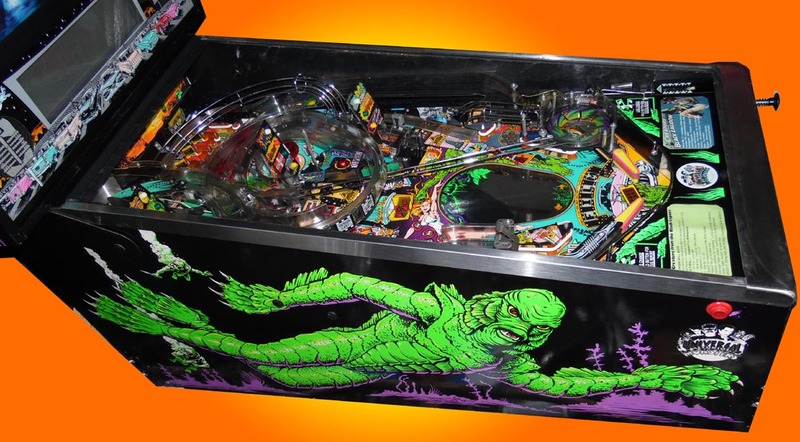 A Williams classic, featuring a 3-D holographic picture appearing from under the playfield. 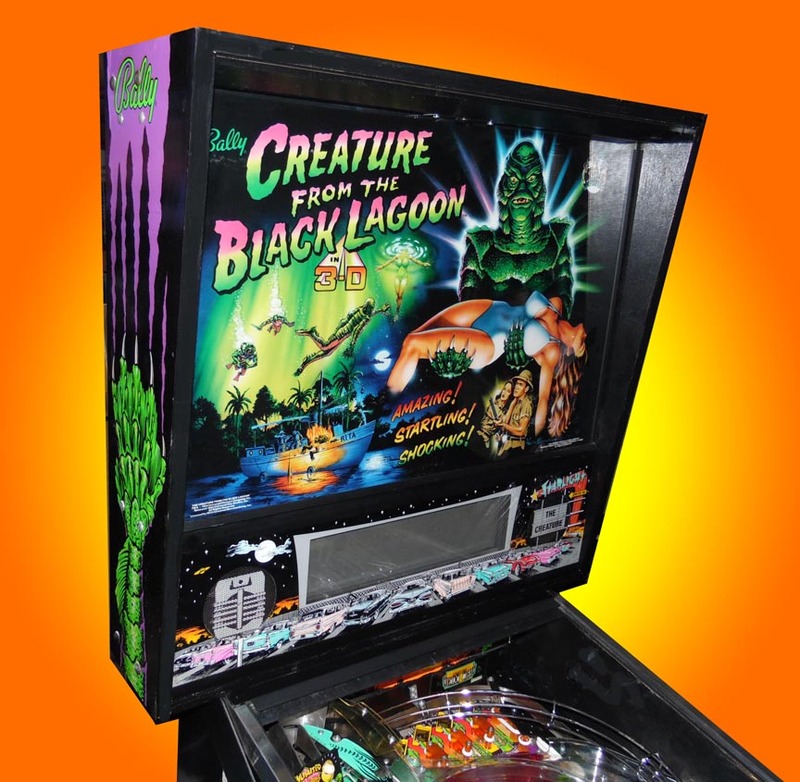 The game play is based upon those great days of drive-in movies. 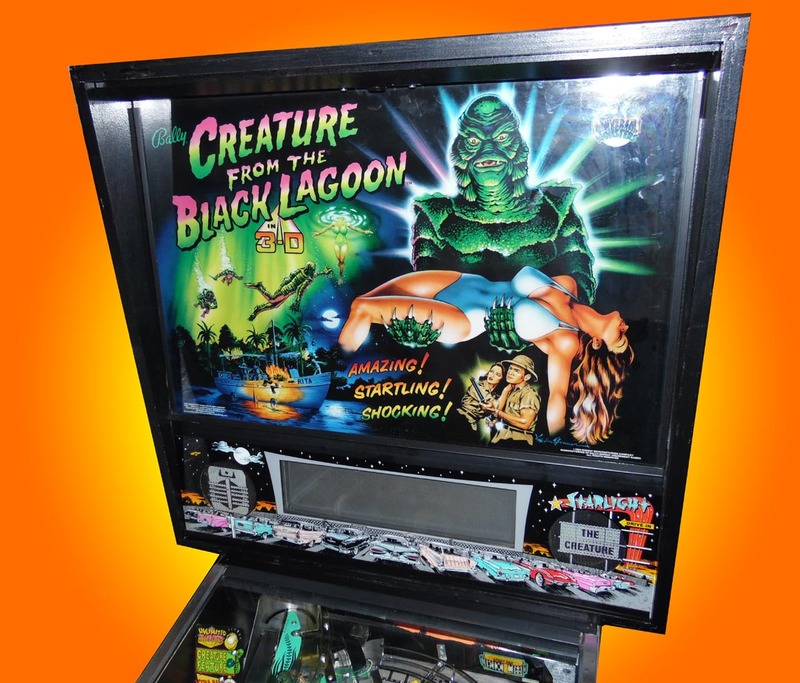 Visit the snack bar, put some time in at the playground, steal a kiss in the back seat, even sneak in to the drive-in in the trunk of your car- but don't miss the double feature. 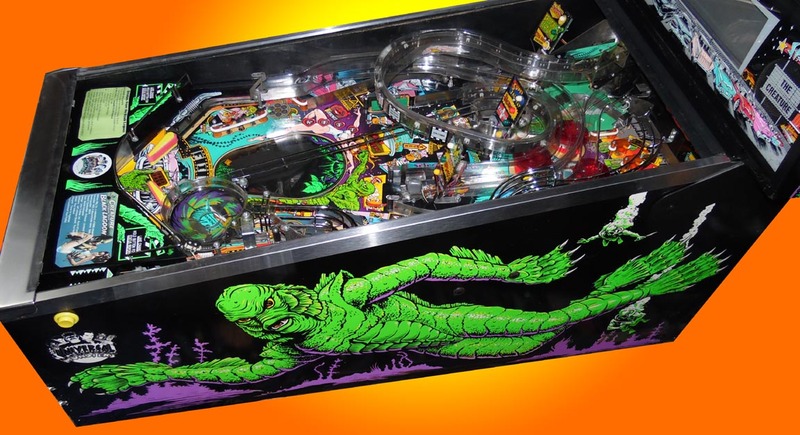 A excellent pinball to fit in with a gameroom theme that includes soda shop decor.